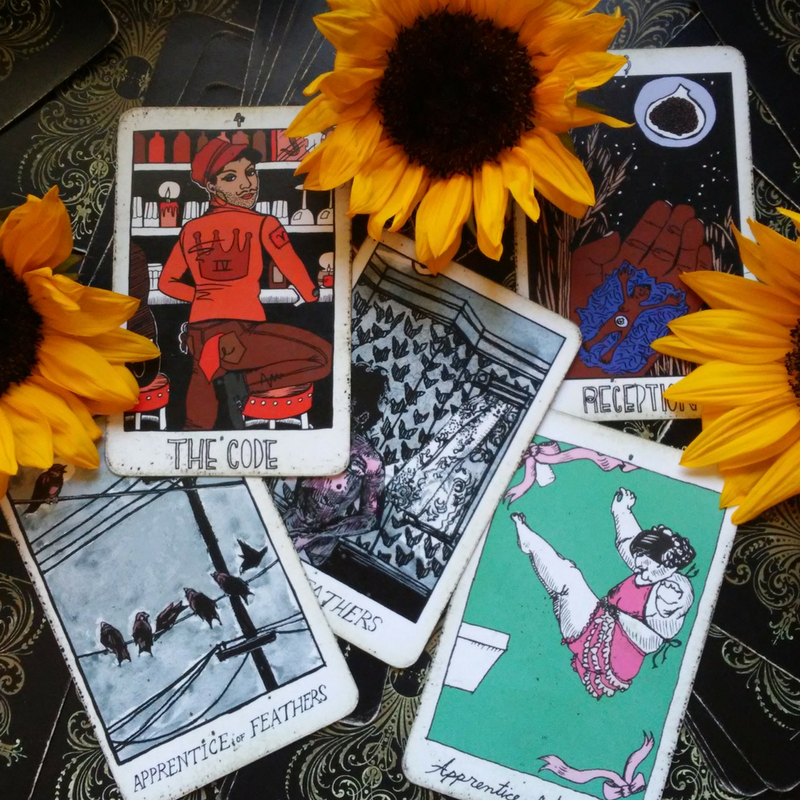 I primarily use the Collective Tarot when working, though on occasion, clients will request another deck. From clouds to playing cards, I am able to read anything! These are simply tools that can be used to connect with & channel Spirit. They allow me to tap into another layer of information that is all around us all the time. I begin all tarot readings with verbal consent to connect with & communicate with a client's guides & ancestors, then I guide clients through a breathing & grounding exercise to create an energetic container / boundaries so that this healing process doesn't spill out all over, & then we begin with the client's inquiries. There are all kinds of fancy words for what I do claircognizance-this & clairsentient-that. I know what I know, & I share what I know with my clients. I have years of experience in reading tarot, learning how to trust myself, & following signs from the Spirit world. I have helped both of my grandmothers die, reconnecting with their spirits & developing a posthumous relationship. In return, they help me remember who I am, where I come from, & they keep me safe & guide me as I do this work. I am also versed in trauma. Thanks to my many years of healing, I can hold & witness a lot of things that might be scary of overwhelming to other people, but not to me. Getting clarity around endings & beginnings in professional & personal relationships. Understadning the blocks in your process & how to circumnavigate &/or dissolve them. Connecting to & receiving messages from deceased loved ones, spirit guides, & ancestors. How to begin understanding & processing intergenerational trauma & grief. Creating personalized rituals for your healing. My weakness is mostly around timelines & direct yes or no questions. I can do my best to ballpark it, but it's always kinda sketchy at best. I also respect when the ancestors & cards choose not to provide further information about certain questions, & I'll be sure to let you know if that happens. I choose to offer varied rates because I want to be part of the shift that makes healing accessible for anyone who wants or needs it, & also, to address the violent & exploitative impacts of white supremacy, heteropatriarchy, whorephobia, cissexism, transmisogyny, misogyny, ableism, & capitalism. I ask that you do your part & pay at the higher end of the pay scale if you have the financial means to do so. This allows me to offer subsidized costs which center Queer & Trans Femmes of Color. You deserve the healing you are seeking, no matter your financial situation. WHAT IF I CAN'T PAY THE WHOLE FEE? Lots of other things I don't know about yet! 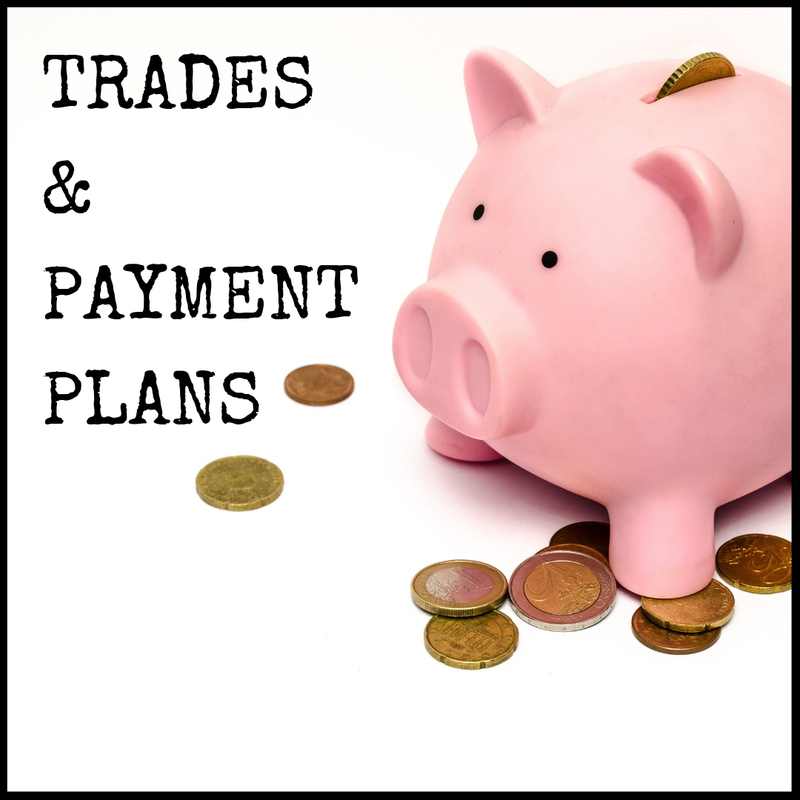 To arrange payment plans, please send me an email with your offer, & we can work out the details from there! 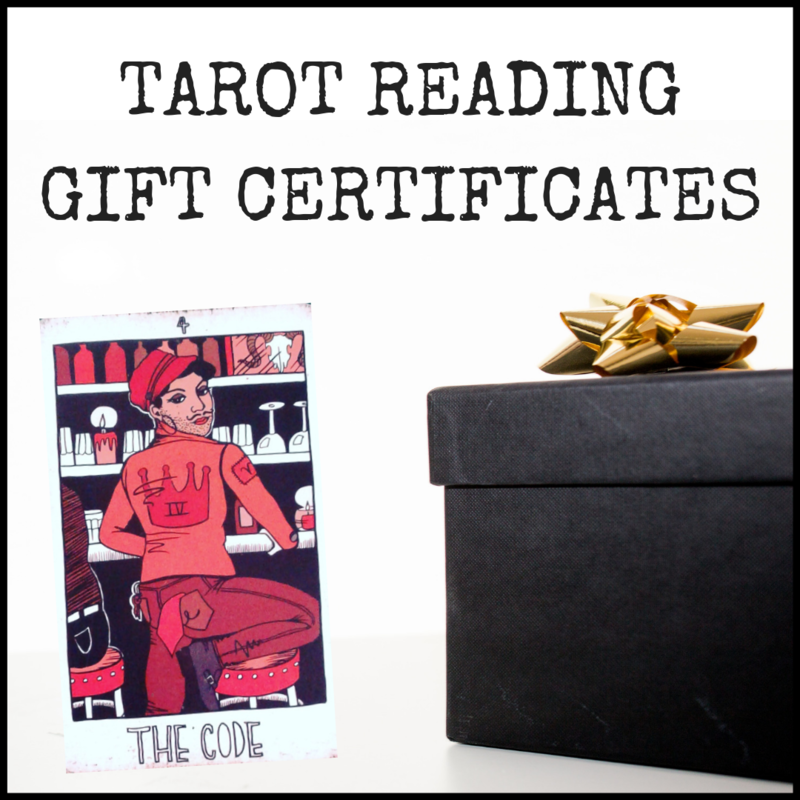 You can also gift a reading! All you gotta do is send me an email at highmoonfemme@gmail.com & we can get you taken care of. I can personalize a cute e-gift certificate for you, too! QUEER & TRANS FEMMES OF COLOR: 30 MIN. QUEER & TRANS FEMMES OF COLOR: 60 MIN. ​ QUEER & TRANS BLACK, INDIGENOUS, PEOPLE OF COLOR: 30 MIN. ​ QUEER & TRANS BLACK, INDIGENOUS, PEOPLE OF COLOR: 60 MIN. CIS-HETERO ​BLACK, INDIGENOUS, PEOPLE OF COLOR: 30 MIN. CIS-HETERO ​BLACK, INDIGENOUS, PEOPLE OF COLOR: 60 MIN. ​OTHER ​WHITE PEOPLE & FOLKS WITH ACCESS TO RESOURCES: 30 MIN. ​OTHER ​WHITE PEOPLE & FOLKS WITH ACCESS TO RESOURCES: 60 MIN.